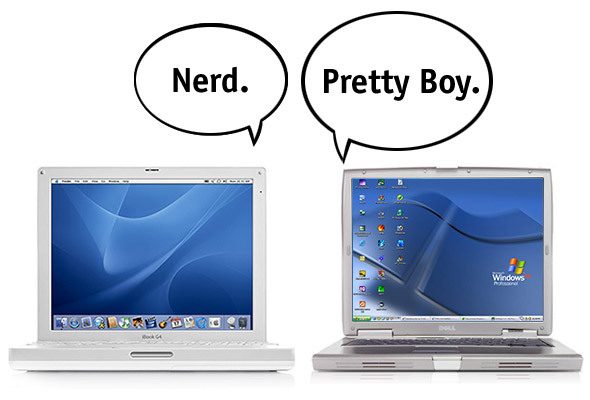 The Mac versus PC argument is one you're never going to win. Now if one of the two companies went away for ever I probably wouldn't shed a tear. Being in the computer repair business, especially in Los Angeles, I'm certified by Apple and Microsoft and get to work on a healthy dose of both. Because I don't care what statistics say, in Hollywood Macs defnitely make up more than 10% of the marketplace. But nonetheless, having worked in the Corporate IT world for over a decade, the PC became a big part of my daily life. With that, a great deal of familiarity and something of a love/hate relationship with the PC was formed. But to be honest, I'm writing this on a PC right now, I have a PC I primarily use at home, and the Macs we have around the house are primarily used by my wife. So what exactly is it that keeps me a PC? Hold on, I'm getting to it. Let's get the nitty gritty out of the way first - Price. Yup, the almighty dollar keeps me firmly entrenched in the PC world. As Apple continues to find ways to phase out their less expensive offerings (they recently gave the good ol' Macbook the axe), PC prices continue to be driven down to the point where you can get something rock-solid for $400-$500. Now I expect this trend to reverse itself in the months to come, but for now I can get a LOT more bang for the buck with a PC. Next, Windows 7 is a fantastic operating system and in many ways superior to Mac OS X. File management is far more intuitive and streamlined. Don't even get me started for corporate environments. OS X Lion had to rewrite their interface for Windows Networking for various legal reasons. In a nutshell, it's all jacked up. Not that it worked so seamlessly before, but it was at least functional. For now it's dead in the water. Hopefully the next update rectifies it, but in the meantime, corporate users should stick to Snow Leopard (OS X 10.6.8). Interfacing with Microsoft Exchange is also still far more effective with Outlook for Windows, even with the greatly improved Outlook for Mac, it still doesn't work as seamlessly as the Windows version. But I guess what I really like about Windows besides the price and the inherent advantage Windows machines have interfacing with other Windows machines, is just the convenience that large market share brings. There are more tips, guides, blog posts, and general know-it-all Windows types out there from which to get the information necessary to get your stuff running just the way you like. There are tons more software options, a far more developed right-click, and many more available peripherals, for tons less moolah. 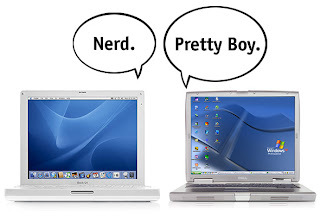 So that's skinny, dear readers, from a Windows boy living in a Mac World. I LIKE WINDOWS. Phew. It feels good to get that off my chest. You Mac peeps - I love ya too! And by the way these two companies are going, I may not be far off from joining you!